If you’ve been doing it long enough, one of the most interesting parts about tracking your finances is seeing the year-to-year fluctuations in your expenses, income, and savings. Or maybe that’s only interesting for personal finance nerds like me. In any case, I’ve been tracking my finances for a couple of years now, including when I moved from my home in Houston to Taiwan for almost all of 2018. (I was just 25 days short of the full 365). Online cost of living calculators like Expatisan provide ballpark estimates for how much more or less you can expect to pay compared to your current city. For me, it suggested that living in Taipei would be 14% cheaper than Houston. But what was my average cost of living for a year in Houston to begin with? It’s hard to actually pinpoint this number because of paying off student loans in the past and spending other chunks of time overseas, which make it difficult to gauge what a full calendar year of living in Houston typically cost me. That said, my past expense reports provide a ballpark annual range between $21,000 and $23,000. As for this past year in Taiwan, my spendings totaled $18,996.87. Here’s how those expenses broke down. I won’t dive into all of my spending categories (e.g., entertainment, clothing, and others), because they were incredibly variable and would thus necessitate more detailed explanations. Instead, I’ll focus on the major categories that more consistently shaped my finances. I lived in two shared apartments in Taipei over the course of 2018. Rent for the first one totaled about $383, although this did not include utilities (which added little when split with my roommate). Later on, in July, I moved to a new location with a monthly rent of $367, including utilities — a total steal. Not to mention, it was significantly closer to my office, meaning I could easily walk or bike to work for free. One of my favorite parts about living in Taipei was its public transit. You can buy what is known as an EasyCard at any convenience store, and it essentially operates as a transit pass that can be used on the metro, bus, trains, and rentable bikes around the city. Plus, the pass can be used across all of Taiwan, not just Taipei. Imagine being able to use the same subway pass in New York, Seattle, and other cities across the U.S.! Low fare rates and the fact that Taipei is such a concentrated city meant that I spent an average of $60 on transportation per month. On top of that, before moving into my second apartment, my old roommate gave me his bike. This helped reduce transportation expenses further, as I began biking to work and other places more often. I ate out a lot in Taipei. That’s in part because eating out is so much more affordable there — some of my favorite meals were just $1 to $3. Of course, these tended to be local dishes; if you wanted non-Taiwanese cuisine, you’d generally find a much steeper price tag. Because of both frugality and personal taste, I tended to stick to local foods with a few occasional splurges. My monthly expenses spent on groceries and dining out thus ranged from $145 to $270, with a final average of $222. I still found some time to cook, but nowhere near as often as I had when living in the U.S. Although I didn’t make any international trips while living in Taiwan, I traveled around the island to see family in other cities, to take part in half-marathons and other (shorter) races outside of Taipei, or to play tour guide when visiting friends were in town. This made my traveling expenses fairly inconsistent, ranging between $50 and $250 a month. There was one major expense that put a dent in my 2018 spendings: getting Lasik. The procedure cost me about $2,900, not including the follow-up appointments. This was for both eyes, and surprisingly, not the cheapest option available at the clinic I chose in Taipei. In comparison, the cost of getting Lasik in the U.S. tends to vary from $1,500 to $3,000 per eye. Lasik wasn’t a necessity by any means — it was a choice I made after going through my finances, and one that has been well worth it. And interestingly enough, it comprised a little more than 15% of my total spendings for 2018. Some personal finance and travel gurus claim that living overseas can reduce your expenses significantly. 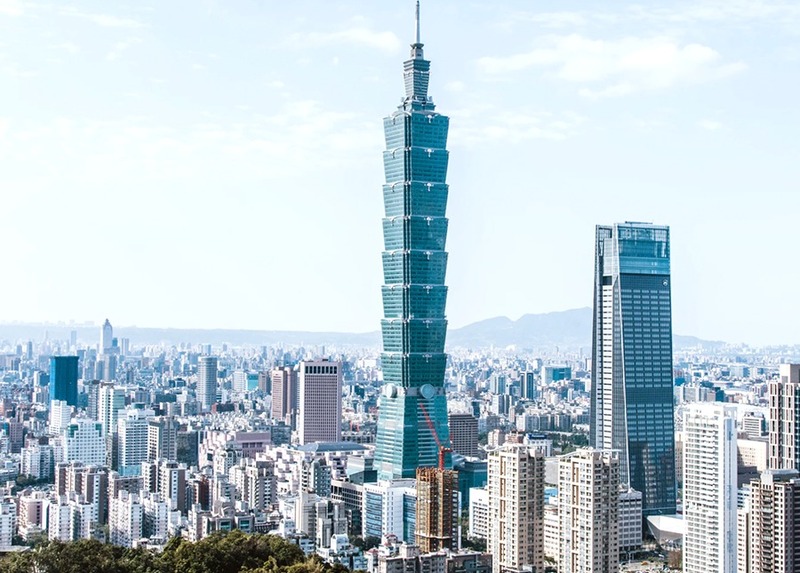 Though Taipei doesn’t boast as low a cost of living as some other countries (in fact, it’s more expensive than some parts of the U.S.), it was still true in my case. Of course, finding a more affordable lifestyle abroad depends on where you’re from and where you’re moving to. If you’re coming from a city or country with a low cost of living, moving to expensive cities like Paris or Tokyo won’t do your wallet any favors. That said, I didn’t move to Taiwan just for the sake of a cheaper lifestyle. I was inspired by a few different reasons, including my desire to improve my Mandarin as well as my genuine love for the island and its culture. And though moving overseas isn’t for everyone, I don’t regret that decision at all, from both a personal and financial standpoint. Joyce is a digital marketer and freelancer who writes about personal finance on Financial Impulse. She wishes there were more hours in a day so she could work more on her side projects.